Hi everyone, Alex with the Show Notes for Travel First Episode 13...or for the superstitious traveler, 12B. 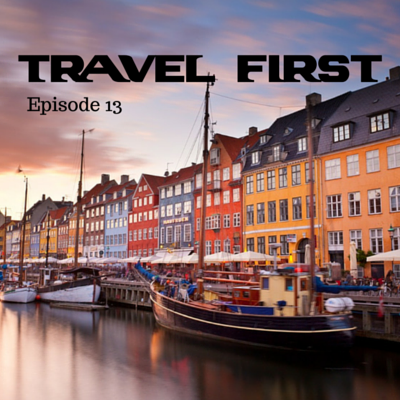 In this episode, we take you to wonderful, wonderful Copenhagen (as the song by Danny Kaye goes) in Denmark. A beautiful city that we recommend every one visits at least once. Subscribe, rate and review Travel First at audioBoom, iTunes, Stitcher, Pocketcasts, Podbean, Podcast Addict or any good podcatcher app. If you're enjoying the podcast, please help us out by sharing and telling your friends. That would be very much appreciated...thank you.